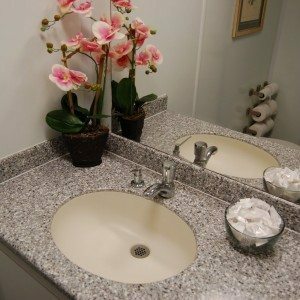 The harbor commissioners of Del Norte county in California are including ADA compliant portable restrooms from Royal Restrooms in plans for their new visitors and information center that would include 14 public agencies including California State Parks, the Department of Fish and Wildlife, Redwood National and local tribes. 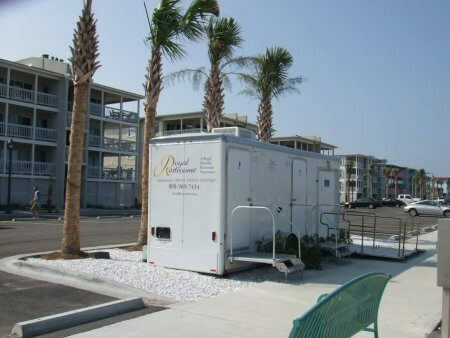 ADA certified portable restrooms are a perfect supplement to large facilities where an element of flexibility is desired, and quality is of the utmost importance. You can move the portable restroom trailers to any location where the activities are happening. If power and water are available then we can use them, and if not, then we can run the unit completely autonomously without the need for external facilities. 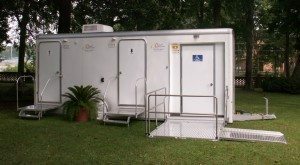 The fact that they are also so cost effective makes it a no-brainer to include ADA compliant portable restroom trailers in your next facilities planning effort.